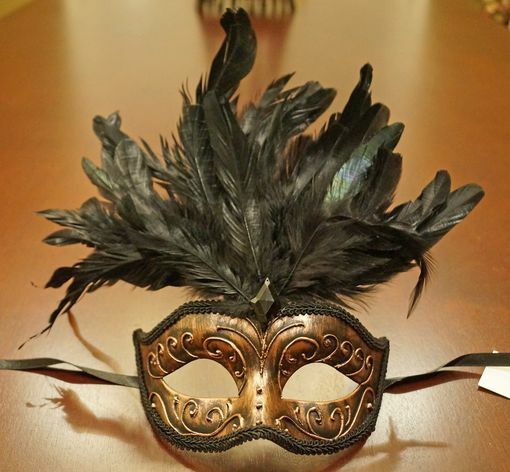 This mask is hand painted to have a antique bronze finish and has large black feathers. Mask is made of a durable molded resin and secures with black ribbon ties. Mask comes in bronze, silver, and gold. Mask size without feather 6"W x 4"H.
Antique bronze feather mask is great for any masquerade party or Venetian style event.